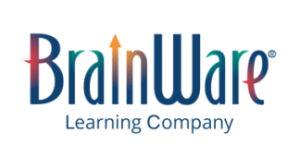 Award-winning BrainWare SAFARI builds 41 cognitive skills in 6 areas: Attention, Memory, Thinking, Visual Processing, Auditory Processing and Sensory Integration. The 20 exercises in BrainWare SAFARI (most users call them games, rather than exercises – and that’s ok with us!) are based on decades of proven clinical practice. With 168 levels of progressive challenge and the motivation of a video game, BrainWare SAFARI is a comprehensive brain-building package for any age. See how BrainWare SAFARI can make your job just a little easier! BrainWare SAFARI is an award-winning software program that incorporates decades of proven clinical approaches to cognitive skills development into an engaging video-game format. The program contains 20 exercises comprising 168 progressively challenging levels that develop and strengthen 41 cognitive skills. BrainWare SAFARI is used by many different types of clinicians and learning specialists to help their patients/clients/students improve the functioning of cognitive processes. It can be used as a stand-alone cognitive training tool, or as a supplement to other therapies, including vision therapy, speech and language therapy, occupational therapy, cognitive rehabilitation and remediation of learning disabilities. It exercises cognitive skills in an integrated manner (like cross-training for the mind). It is built on 40 years of multi-disciplinary clinical therapy practice. It is supported by published peer-reviewed research and numerous field studies demonstrating a significant impact on cognitive skills and transfer to academic performance. It is more comprehensive in the breadth of skills developed than other brain programs. It provides a fun and engaging video-game experience. WHO BrainWare SAFARI is recommended for ages 6 through adult. Children should know the alphabet and their numbers through 100, and they need to be able to use a mouse. WHAT While BrainWare SAFARI looks like a video game — and users find it engaging — the exercises in the program are just that. This is not a collection of brain games, but a program of multidisciplinary cognitive therapy that was developed over 40 years by clinicians using and sharing their best practices. The cognitive therapy was then incorporated into a computer-based delivery system that uses the best practices of video games and the Internet to enable progress monitoring by a clinician or learning specialist. WHEN The recommended protocol of using BrainWare SAFARI for most users is 3 to 5 times a week for 12 to 14 weeks, for 30 to 60 minutes per session. The reason for this protocol is that it is the frequency of usage that has shown dramatic gains in cognitive skills and academic performance in research studies. The protocol may be adapted for use following concussion or for use with individuals with intellectual disabilities, among other special situations. WHERE BrainWare SAFARI runs on a computer, either a PC or a Mac. There is software that is installed on the computer and it requires an Internet connection. The computer must have speakers. A headset and mouse are recommended. The software may be installed on as many computers as you wish, in your office and/or at the clients’ home. Each user has a unique username and password to log in so they can access the program from any computer with BrainWare. The first thing most clinicians and learning specialists want to do is to see BrainWare SAFARI for themselves. We are happy to schedule a personal demonstration for you which we will conduct via an online meeting. You can easily include your staff (even if they are in different offices). Cognitive skills development can benefit children across a broad spectrum of abilities, including normally developing, those with identified cognitive deficits and high-performing children. The following links provide additional information on how BrainWare Cognitive Skills Training works for different types of individuals. Having a child with learning disabilities often means that the child and parents all experience a good deal of frustration. As hard as they try, school work is too often a struggle. The interventions provided by most schools tend to focus on accommodations and other strategies to work around a child’s weaknesses. BrainWare SAFARI doesn’t just teach children how to compensate for weak processing areas. It uses your child’s strengths to build weaker areas. Using BrainWare SAFARI has been shown in multiple studies to improve cognitive functioning. Average improvements on cognitive tests like the CogAT of 12 percentile points have been demonstrated. In one school study, using BrainWare SAFARI helped significantly more students quality for the gifted program.